We have scoured the internet to find the best PDF to PNG freeware. 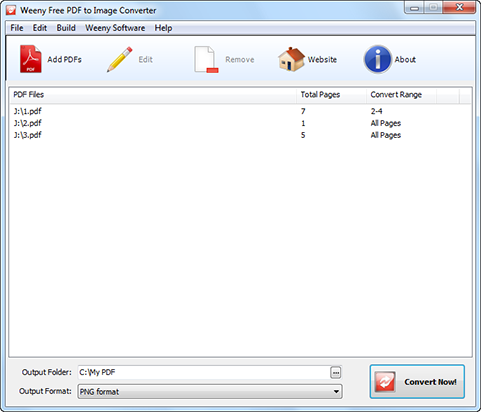 The PDF to image converter is part of a larger software suite from Weenysoft. The software is completely free for you to use Weenysoft. Don’t have Adobe installed? No problem! Not sure if your print driver is not up to date? Won’t be an issue! Simply download the software and start using it to convert all your PDF documents into PNG format. WeenySoft works on a variety of Windows OS systems like Vista, 10 and 7. The software is compatible with both the 32-bit and 64-bit versions of the OS systems. WeenySoft won’t just convert PDF to PNG, the software can convert to JPG, TIF, PCX and even GIF. Every developer deserves fast, efficient and easy to use tools to deliver high-quality work in short turnaround times. With that in mind, we recommend Free PDF Solutions because it has everything a professional wants from a PDF to PNG freeware tool. Free PDF Solutions comes with a clean, simple and uncluttered interface, perfect for users who need to navigate quickly. Furthermore, the tool is carefully optimized for speed, for it converts PDF files in milliseconds. Professionals will have the option to customize their converted documents. For example, you can convert several PDF files into a single PNG image. The aptly named Free PDF to PNG Converter gives PDF to PNG conversion services without charging you a cent. Whenever tools offer free services it usually comes with certain caveats, like watermarks or poor quality. 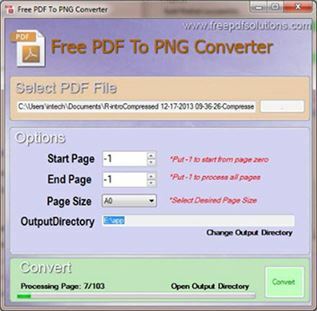 However, this is not the case with Free PDF to PNG Converter, it is free but still delivers high-quality conversions. Professional web developers will be pleased with the conversion results. There are several options to optimize and improve your converted image, to make it better than before. You can also perform conversions the way you want, for example, batch processing. As a professional your time is valuable, with this in mind we recommend the Free PDF Converter Software. There are no frills or extra features on this free PDF to PNG file converter, the software has only one purpose: To convert PDF to PNG free. Simply upload your PDF documents to the website and have them converted. You will be downloading them in PNG format within seconds. Free PDF Converter is not just a PDF to PNG converter, it can convert PDF to other formats like Word, XLS, TIFF, and XML. Visit the following website to get a free download and experiment with the software. If you need a sleek, PDF to PNG converter free download to work with, then take a look at PDFCreator. The software comes with features a professional developer needs to carry out their PDF conversions such as PDF to PNG conversion. Besides that, it can also prevent unauthorized access to your PDF’s by implementing locking documents behind passwords. You can compress and resize images to suit your needs. PDFCreator can be modified to suit your needs, you can customize the software by adjusting setups. Hence, in the future, you can simply dive in to complete the transactions in seconds. If you are interested in searching for the best PDF to PNG converter on the Mac, then take a look at iSkysoft PDF Editor 6 Professional for Mac (or iSkysoft PDF Editor 6 Professional for Windows). The PDF converter offers a vast breadth of features that compliments a professional web developer. Whether you need to convert PDF to PNG, edit or create PDF documents, iSkysoft is the ideal software package for Mac users and compatible with its High Sierra version too. With it, you can have full control over your PDF document ranging from conversion, editing, managing to keep data password protected. Convert PDF to PNG, Excel, Word, PPT, EPub and other formats. 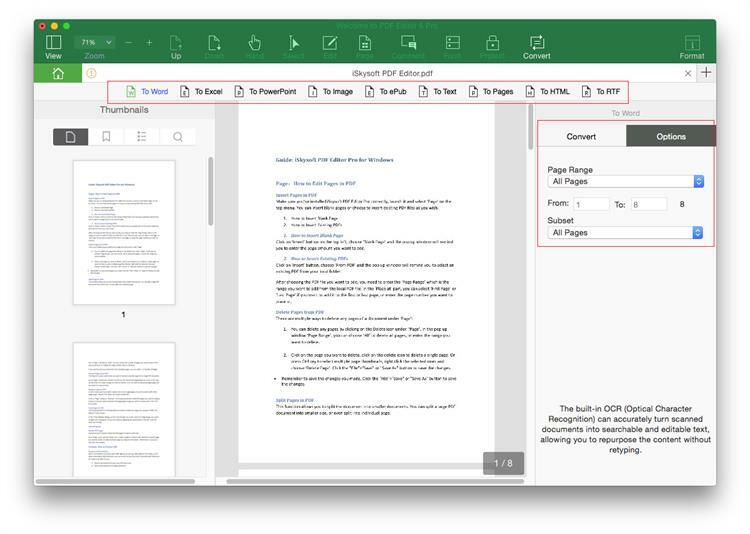 Combine more than 300 PDF pages into a single document. Print and share PDF documents via Dropbox.